Eric comes from a athletic background and played Jr. college and semi-pro football. He still periodically coaches youth football as well as helps out with the Special Olympics flag football league. He is a ASU student who is currently finishing up his Undergraduate degree in Health promotion. Eric is a City of Scottsdale Firefighter and Nationally registered EMT. 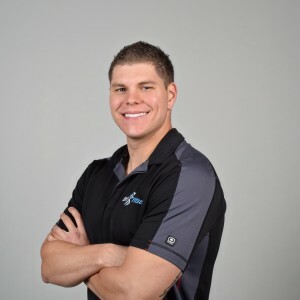 Eric coordinates the East Valley In-Home training program and loves to push his clients to the absolute max and see them reach their goals.